What Is the Best Way for Men to Dress for a College Interview and Visit? We all know this saying. Never judge a book based on its cover. 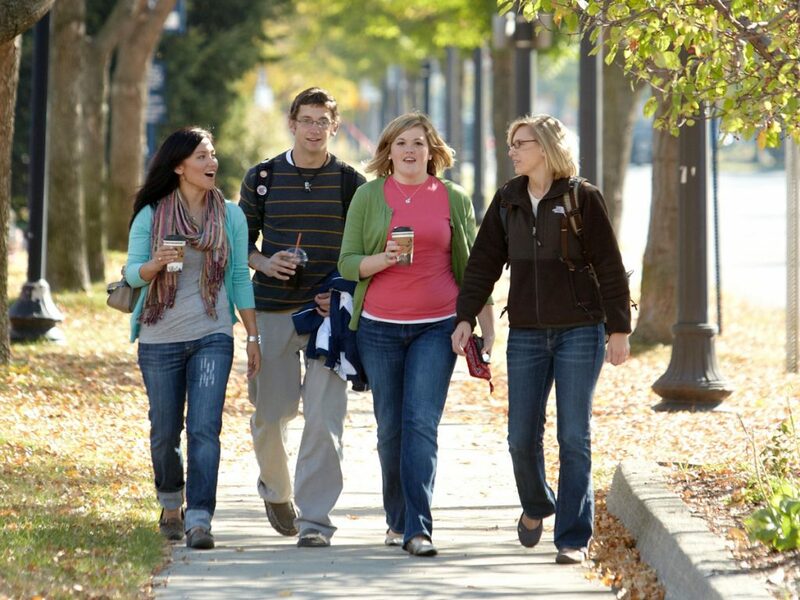 In regards of life, it is a good motto, but if we are talking about a formal event like the college interview or visit, students should dress appropriately. The key is appropriately. The definition by Dictionary.com states: suitable or fitting for a particular purpose, person, occasion, etc. Students should realize that one is still a “student”, not a businessman. A student is representing himself, not a company or corporation. On the other hand students should not wear outfit similar to this. Sweatpants, or very loose hoodie is too informal of an outfit. Especially hoodies or sweatpants that have a different logo of another college or university. Here is my recommendation of three appropriate outfits that are based of formality and seriousness. This the most formal outfit. A sport jacket with not ripped jeans without a tie shows a seriousness of a student. Students do not have to wear necessarily a button up shirt because a sport jacket looks excellent just with a white or green t-shirt, like it is in the picture below. Outfit number 1 in a different example. Next outfit is simple, wear jeans with a shirt rolled up to the elbows. This outfit feels very elegant, simple, and free. If one wants be extra fashionable then student should match the color of shoes with the color of the belt. Lastly, the least formal outfit, but still very sharp and appropriate for a college interview and visit is; pants not jeans with a polo shirt. 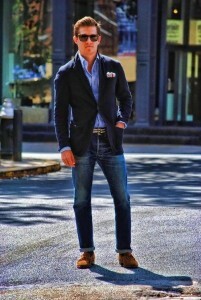 Do not wear jeans because polo shirt is casual enough, so with a jeans it would be too “average” or too “causal”. Use formal pants (not dress up or suit type of paints) to match the color of polo t-shirt. Do not wear sneakers. Shoes are very important with to an outfit and sneakers are too causal especially with sport coat or formal shirt. In Czech we have saying that based of the shoes you can tell the character of the person. For example, leather shoes are an excellent choice. Do not wear extravagant accessories. It is normal to have watches or some kind of necklace, bracket, but remember that you are a student trying to impress a college. Do not wear white Nike or Adidas workout socks. It is just painful to watch someone nicely dress up with a white Nike socks and it also looks awful. Lastly, dress in colors and type of cloth that you feel comfortable, and which matches. Do not try to be someone else. Posted on February 25, 2016 February 26, 2016 Author Jakub MyskaCategories AdmissionsTags HopeCollegevisitLeave a comment on What Is the Best Way for Men to Dress for a College Interview and Visit?